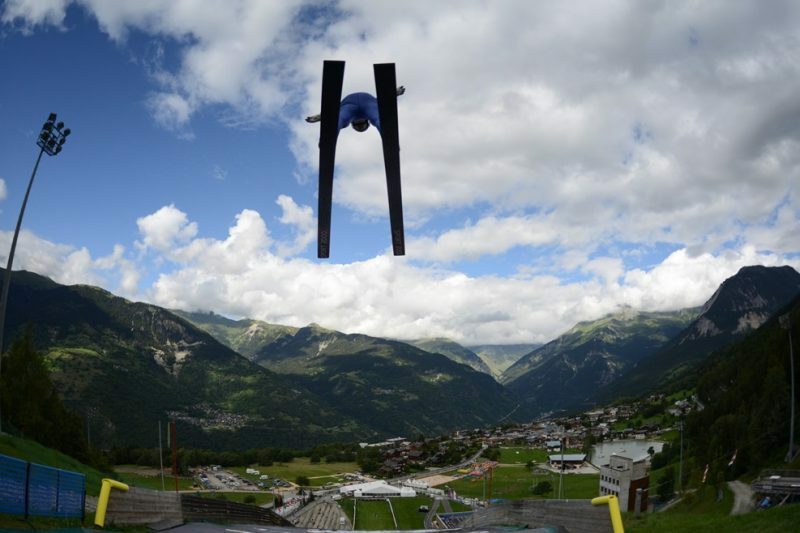 Courchevel hosts the Summer Ski Jumping World Cup for both men and women on the 13th and 14th of August. The two-day event is unique in France and it’s worth going along to the free-entry event if one happens to find oneself within a short distance of the resort – better known as a winter destination. The organisers have attracted the best in the world in this sport, which is dominated by Germans, Austrians and Norwegians. The Grand Prix is brought to life by aerobatic and free-jump displays and children and adults can spend quality time together at the funfair. For those who fancy themselves as a ski-jumper, you can take on the top jumpers… in a Wii jumping contest. The bottom of the hill is transformed into a dance floor hosting a party to close the two-day event and there will be no short of entertainment, with bands and fireworks set to finish off the event with a festive flavour. It all kicks off on Thursday morning at 9am with a men’s training session, followed by the women’s training, with qualifications in the afternoon. The second day is all about competition, beginning with the women’s event and finishing with the men’s, before an award ceremony in the evening and a fireworks display. In between, the crowds are kept entertained with the afore-mentioned virtual ski-jump competitions, stunning aerobatics displays, bouncy castles for the small ones and bars for the larger ones. Anyone who’s only ever been to Courchevel in the winter time will be amazed at how it all looks in the summer and it’s that bit of magic of bringing the winter-time event into the summer that makes the atmosphere at the Summer Ski Jumping World Cup such a special experience. The Olympic Ski Jump slopes at Courchevel Le Praz were built especially for the 1992 Winter Olympics. Over 10,000 people are expected to attend this week’s event and there’s a free shuttle bus service from the scenic traditional village of Le Praz to the jumping slopes.